Friendly Horses | Just Shooting Memories! 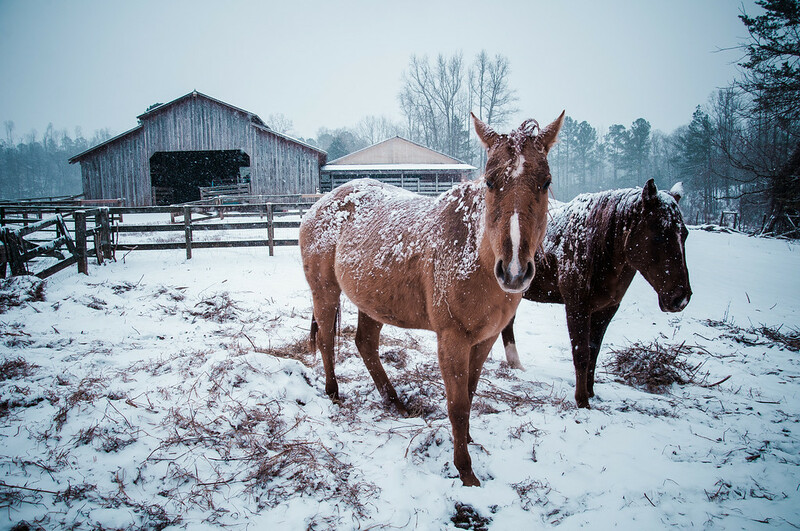 I was on the way home during one of our recent snowstorms when I ran across these horses. When I got out of the car, I was just trying to get one. However, when I got near, it ran over next to the other one and stood there. It was like it was posing just for me. The barn and snow made it just right.